What a dinner. This bowl of Turkey Bolognese over Zoodles hit the spot. I’m not usually one for a meat sauce, but this was on par for a North End restaurant. (Ok, not quite, but it gives the original a run for its money if you lighten up the dish.) The sauce is really simple to make and can be prep as a one pot dish ahead of time. It can easily be frozen, but does dry out a tad and lose a bit of its sauciness. The carrots and bell pepper add flavor and color to the sauce, while the red wine brings a little acidity and depth. As it’s almost September (– time is litttterally flying), try making this on one of those it’s-just-becoming-cool-and-crisp fall nights. Look at that twirl action! With a mixture of spiralized zucchini, affectionately known as “zoodles,” and tricolor angel hair pasta, this spring pasta dish was packed with homemade pesto. Who says a nice dinner has to be expensive and a chore to make? Pasta is relatively cheap and can be bought in bulk. You can make batches of pesto and stock them in the freezer for future use. I used a can of Whole Foods tuna and spices, herbs and veggies in stock in my fridge and pantry. Viola! I whipped up Pesto Angel Hair Pasta with Tuna to feel a little decadent, a wee bit fancy twirlin’ my pasta and quite cozy as the cool weather rolls back in. Again, I’m experimenting with tofu. I’ve become a somewhat regular at a local Thai restaurant around the corner from me in Beacon Hill. Their tofu is perfectly crispy and golden. Granted, they’re probably deep-frying it to perfection, but that’s another story. However much I simply love this indulgence, I wanted to “clean up” their Pad See You. * Think wide rice noodles, golden tofu, bean sprouts and broccoli in a sweet but spicy Thai basil sauce. 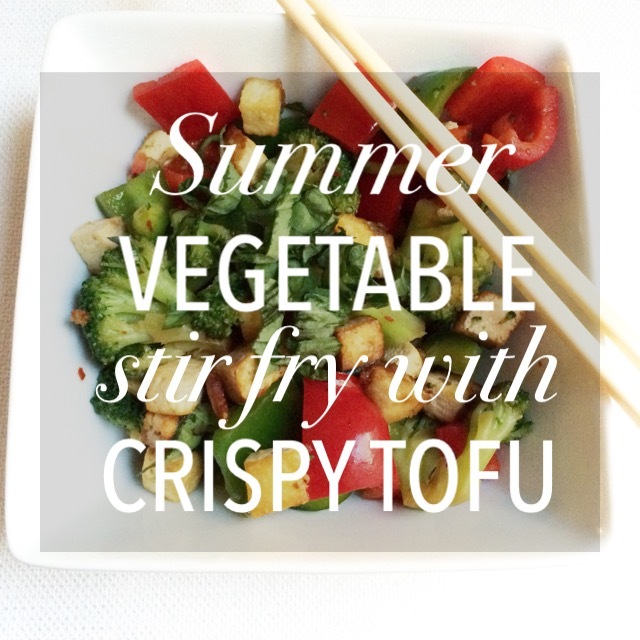 Using zucchini noodles or zoodles are the main staple, I added more vegetables and a lighter sauce — the Summer Vegetable Stir Fry with Crispy Tofu was born and it’s a summer keeper. I really like Pad Thai. 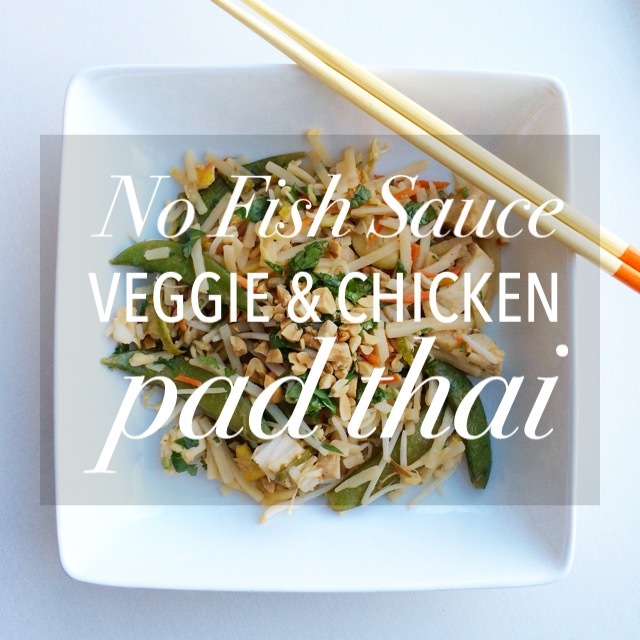 There’s just something about fish sauce I can’t quite stomach, so that’s why I tried this No Fish Sauce Veggie & Chicken Pad Thai. If a dish is prepared for me with it, no problem. If I have to use it, I just can’t do it. Although the fish sauce does add that tanginess and a richer flavor to Thai dishes, I’d rather omit it. I kept the tanginess and acidity by adding soy sauce. For this vegan/vegetarian Pad Thai sauce, keep the whole dish meatless by substituting the chicken and egg for tofu as your protein, but either way, it’s gluten-free! I added more veggies than the traditional dish and kept it 50/50 with rice noodles and zoodles. The bean sprouts and chopped peanuts add a contrasting crunch to the soft noodles, while the cilantro contributes a whole new level of freshness. Toss in shredded carrots, snap peas and bean sprouts and this dish is packed with a little something extra. 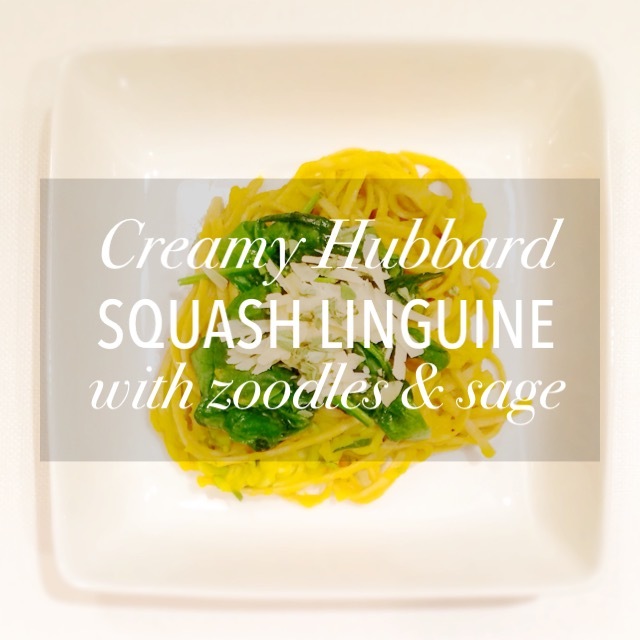 Another fall classic — Creamy Hubbard Squash Linguine with Zoodles & Sage. When my mom and I went to buy local orchard apples and pumpkins at Wallingford’s Orchard, we also picked up spaghetti, delicata and hubbard squash. (Hubbard is a light grayish-blue in color, teardrop in shape and similar to butternut squash in taste.) Maybe I just needed a break from pumpkin, or I’ve just been dying to try this delicious squash linguine recipe I found on Pinterest. The puréed squash is rich and creamy, so much so, you’d never know there’s no cream; the sage amplifies natural flavors and resembles thyme in taste. The hubbard and sage sauce might be bursting with so much flavor that it could be a knockout on its own — soup anyone? Having previously roasted the squash, the only thing to do next was to try this linguine recipe. I added in both “zoodles” or zucchini noodles and sautéed spinach for some needed veggies, and whole-wheat linguine for better carbs. The zoodles and whole-wheat linguine seamlessly blend; you’d never know you’re eating zucchini instead of pasta at times. The modifications were delectably perfect, and I can’t wait to have this again. 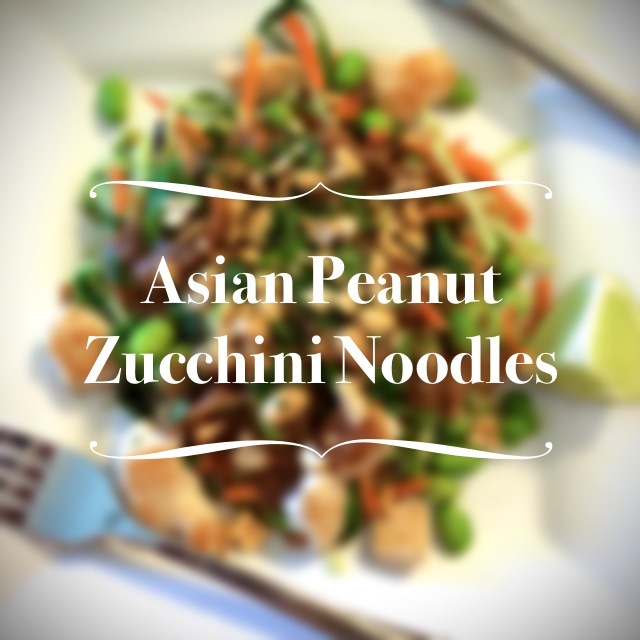 I’ve been trying to find a healthier peanut noodle recipe, and then I realized I already had it. With my spiral vegetable slicer and a modified peanut sauce from the South Beach Diet, I was in business. I needed a novel meal apart from my typical salads, quinoa dishes or Italian-inspired spaghetti squash. This Asian Peanut Zucchini Noodles did just the trick. The edamame and peanuts add just the right amount of crunch to the tender zucchini noodles. The peanut sauce is savory, but not overwhelming; it has just the right amount of kick from the red pepper, but subdued by the creamy peanut butter. All in all, the dish is perfectly balanced, as well as tasty, healthy and satisfying.